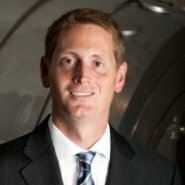 Jon Winick is CEO of Clark Street Capital. In October 2008, at the height of the financial crisis, Jon had the courage and vision to start the firm, leaving his career as a bank executive. Overcoming enormous obstacles and limited resources, Jon saw the opportunity to establish a leading bank advisory and loan sale firm, sensing a void in the marketplace of firms with real-world banking, loan and real estate experience. A born entrepreneur, Jon has successfully started or turned around three different companies. Beginning in 2004, Jon and his partner acquired and stabilized a distressed student housing portfolio in one of the best student housing markets in the country featuring a favorable tax and pro-landlord environment, strong growth prospects, low unemployment, and significant barriers to entry. In June 2017, Jon exited the business, achieving a double-digit after-tax IRR, which well-exceeded the S&P 500 and other indices. He expects to redeploy the capital within the next 24 months. Jon currently serves as Director of Somercor 504, Inc., the leading Chicago-based SBA 504 loan originator. Jon played an instrumental role in turning around the organization and it is now one of the leading SBA lenders nationwide. He is a nationally recognized expert and leader in the SBA 504 and 7(a) lending programs and economic development. Jon was Chairman of SomerCor from 2008-2015. From 2004 – 2008, Jon Winick was National Marketing Director of Zions Bank, a $53 billion bank headquartered in Salt Lake City. Working for the Zions National Real Estate division, a wholesale acquirer of commercial real estate mortgages primarily from financial institutions, Winick was responsible for acquisitions in the Midwest and national marketing efforts. In 2007, Zions National Real Estate funded over 1,400 transactions totaling $1.3 billion in new originations. Prior to Zions, Winick served as Vice President at GE Small Business Finance from 2000-2003, in which he created a syndication platform to sell whole real estate loans originated by a nationwide lending team to leading institutional buyers. Jon has also served as an expert witness in federal court. Jon has been active in Chicago in promoting chess for kids, including volunteer teaching after-school programs, serving as a Board Member of a non-for-profit focused on chess, and running tournaments to help kids and young adults achieve grandmaster and international norms. He is also a member at Olympia Fields Country Club and Beverly Country Club. Winick received his MBA from Washington University in St. Louis, and his bachelor’s degree in history from the University of Michigan.